If you don’t want to install a security system because you think they will only be useful in rare, crime-related situations, you’ll be surprised to find out what a GeoVision access control security system is capable of. Modern security systems are capable of performing many functions, and if you want the most bang for your buck you may want to consider getting an access control system. – PTZ camera can be configured to turn to regions being monitored by alarm detectors or readers which are currently having a card scanned. – All access and alarm activities with their videos are easy to search for because they are all under one platform. – GV-Megapixel camera makes it possible to examine image details while searching through past video footage. – Works well in even small installations where only a few doors need live video monitoring. A GeoVision access control system can provide you not only live video footage, but also the means to watch playback footage of previous events through one platform. 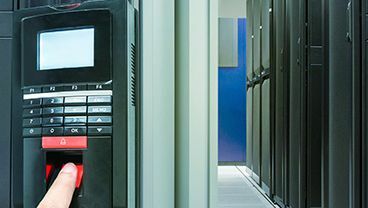 GeoVision access control systems can help you better manage your business and increase your security at the same time. If you want a security system quote for your business, you can contact us at 800-440-1662. We shopped access control system from a local vendor here in New York(http://securitystoreusa.com). I have to say that these devices really offer a lot of control to the administrator and are a must, at least in offices. Thank you for this write-up. To secure you growing business and monitoring your work CCTV camera in shimla | CCTV distributer in Shimla arrange you the best cameras equipment. According to your business as you require you can contact for cameras. You are right about installation and integration of security and access control systems. Both of these are very necessary for home or office security these days and I think everyone should adopt these security features to stay safe. #1 rule is you need a handy access in your home like the security camera. I bought a security camera for my home and I have access to it with my phone. So I can easily navigate and watch over my house and kids.